Atchai creates sophisticated digital products. We’ve selected some of our favourite examples for our portfolio. In all cases we have been responsible for the design and development of the entire product. Dataseed is a data visualisation SaaS product created by Atchai. 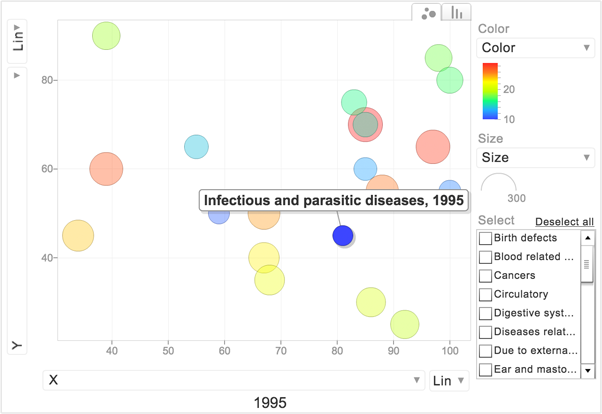 We’ve made it simpler than ever to create beautiful, interactive data visualisations. In five minutes you can turn spreadsheets into valuable business insights. A free service is available for open data publishers, along with paid subscriptions for commercial use. Using our open source toolkit and our REST API you can embed Dataseed into other web applications, making it easy to offer data and analytics to your customers. Life is busy and getting busier. Sometimes technology is the problem, causing all kinds of distractions, but it can also be your friend. MindBot is a chatbot that uses introspective questioning and AI to help you organize your mind and concentrate on doing what matters most to you. 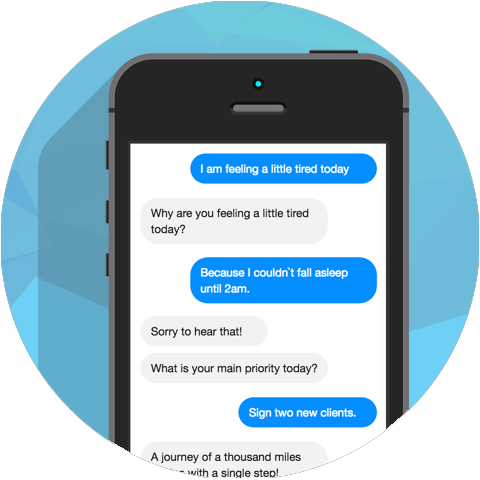 Initially developed as a Slack Application, Atchai have taken the Mindbot concept to every mobile device on the planet, integrating with Twilio's SMS service and Facebook Messenger. Working in short sprints, we suceeded in getting an MVP to market within 2 weeks, allowing us to start learning about user needs and continually iterate on the product. What they delivered was cutting edge, very high quality software. All work was delivered on time, on budget, to a very high standard with clear, honest communication throughout. Have you ever wanted to capture a free flow of thoughts and ideas without having to unlock your phone, open a notes app and type them out? We developed echoNote as part of a quantified self project for Joylab - the digital innovation agency. Amazon Echo is a device that is always on, listening and responding to any command you give. 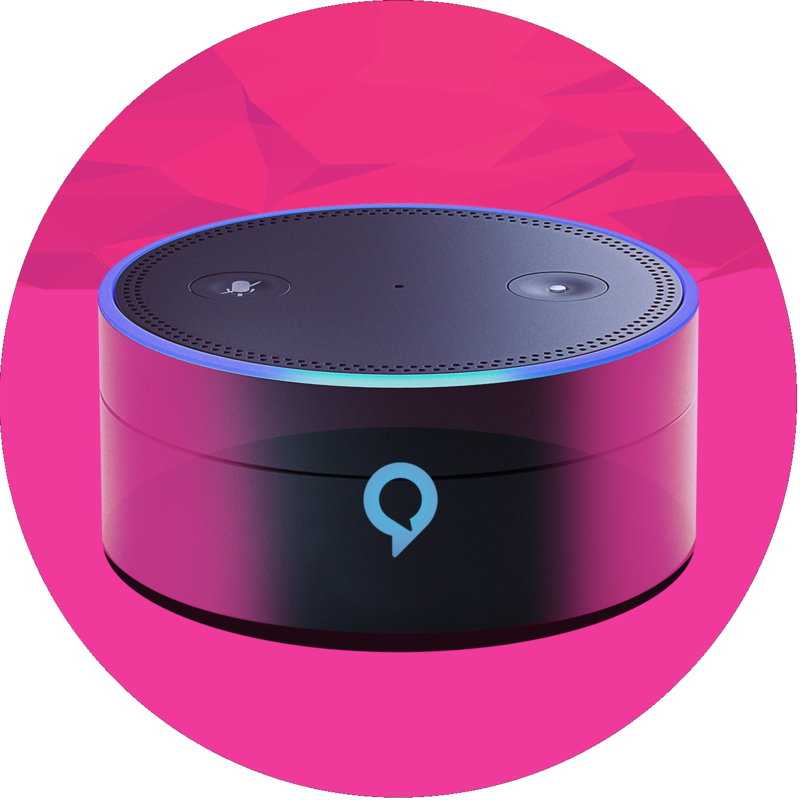 From the comfort of your living room, you can just speak your ideas out loud and echoNote will transcribe them for you. We used the Alexa Skills Kit Node.js library to build a custom skill that can listen to listen to your ideas and store the text in a Google Spreadsheet along with a timestamp. The code we've written has been open sourced and is available on Github. 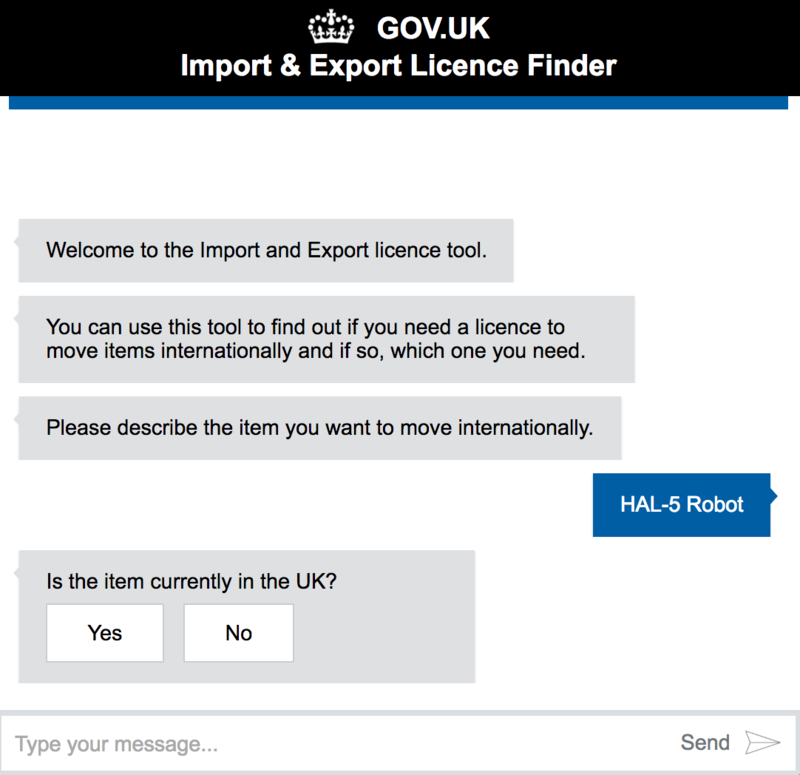 We're working with the UK Government Department of International Trade to develop an innovative new conversational AI product. The laws around importing and exporting goods are complex, and cover everything from importing plans to exporting military hardware for repair. It can be extremely time consuming for the ordinary citizen or small business to understand whether they need a license, and if so which one. By using a conversational user interface, we believe that we can reduce the time it takes to find these answers, as well as reducing the burden on human advisors. 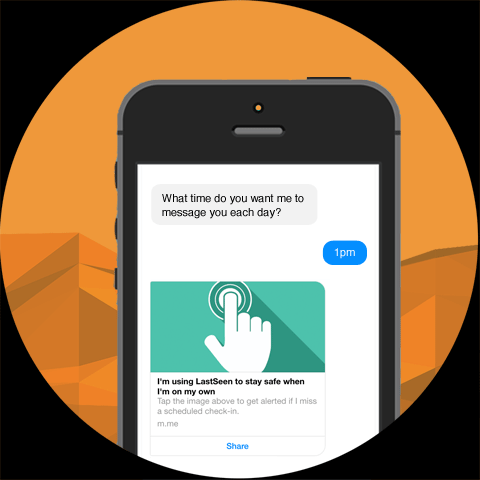 LastSeen is a simple chatbot that asks the user to check-in once a day and notifies their designated contact if they don’t. It was designed initially for older people living alone, providing them with a reminder that someone cares about them, and offering their children the security of knowing that their parents are safe. LastSeen found more traction with a younger audience, especially young professional women living alone, students living away from home for the first time, and dog walkers! We're working as an R&D partner with Parity to help develop an innovative new product in the social media analytics space. Our work involves taking an early proof of concept through an iterative product development cycle, using big data technologies, unsupervised machine learning and natural language processing. 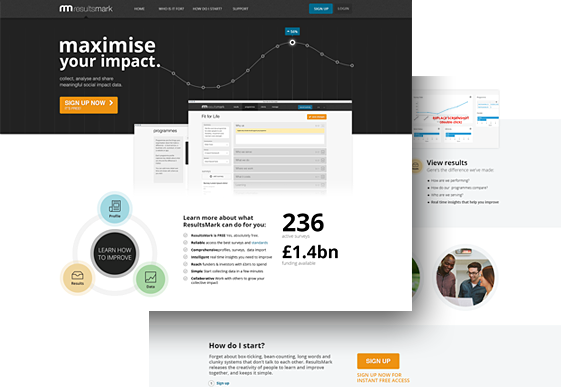 ResultsMark is a platform to collect, analyse and share reliable social impact data. 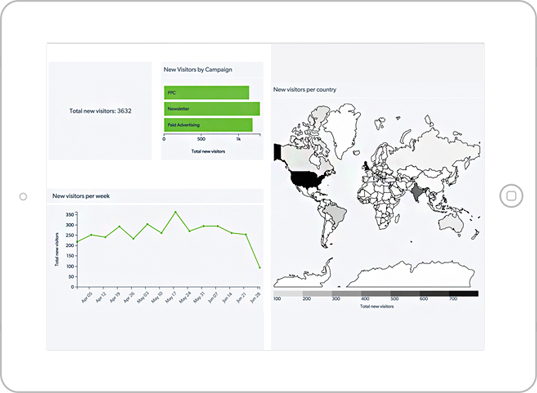 It incorporates Dataseed, providing ResultsMark users with rich insight into the services they provide, use or fund. ResultsMark's open reporting standards are being developed in partnership with trusts and foundations, central government, Big Society Capital, Big Lottery Fund, NAVCA, corporates, social investors, the SROI network, researchers and many other organisations and local public agencies. We needed a way for funders to be able to analyse and compare the data of hundreds of organisations on a real time basis and explore visualisations of the data in an intuitive, insightful way. Atchai and Dataseed offered an ideal solution. NewsVerify is an innovative news publishing platform with a verification framework. It is an open-source product, created in partnership with Internews Europe and currently deployed for multiple partners in the Middle East region. NewsVerify acknowledges the positive contribution citizen journalism is making to todays information landscape, and attempts to address the lack of fact-checking and verification in social media sources. The HSCIC (Health and Social Care Information Centre) is the public body that collects, processes and publishes data covering all levels of the UK’s National Health Service for the Department of Health. The NHS is the world’s 5th largest employer, so it generates a lot of data! Atchai won the project with a competitive bid proposing an open source technology stack including Drupal, integrated tightly with our own Dataseed platform. 200GB of data is imported quarterly into Dataseed’s RESTful API, enabling the public and clinicians to visually interrogate healthcare outcomes, admissions, prescriptions, and administrative datasets through a single, simple interface. 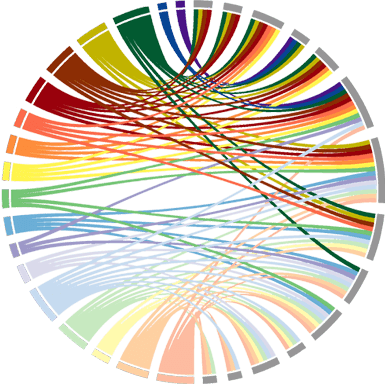 The Linked Data Platform is an open source tool-kit that enables the creation of semantically rich, web 3.0 applications, driven by structured and semi-structured data. We have successfully deployed the LDP as a basis for dataShuttle - an application that takes as it’s input statistics about health problems. 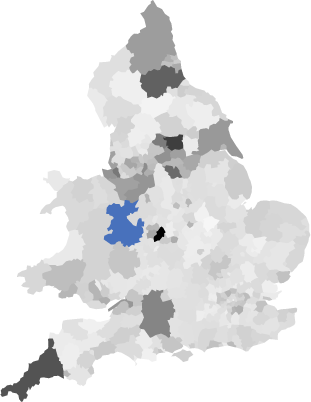 It links these up with RDF data such as Ordnance Survey geo-data, to visualise the statistics in a variety of ways, using maps and charts, and allow the linked data to be queried with SPARQL. 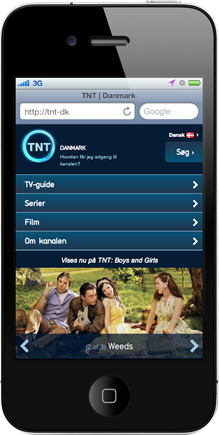 Turner Broadcasting is home to some of the most recognisable global entertainment brands, such as Boomerang, Cartoon Network, CNN, TCM, and TNT. 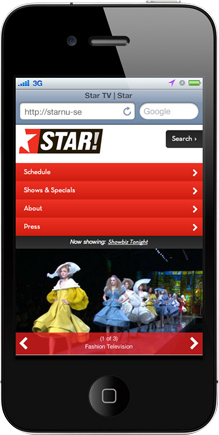 We were engaged by Turner Broadcasting to create a platform that enables the rapid roll-out of websites for their General Entertainment brands across Europe, the Middle East and Africa. Atchai came up with a technical approach which has proven to offer huge efficiencies in the production of TV channel support websites. We now have an underlying architecture which enables quick and efficient rollout of new websites, along with the tools to ensure that every site we produce is accessible across mobile devices.